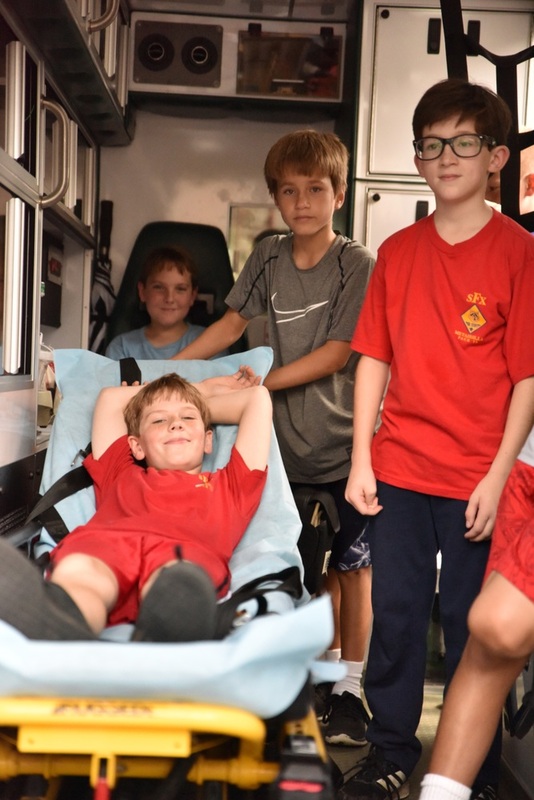 If you heard the sound of honking truck horns in the school yard on Saturday October 06 2018, you weren’t “hearing things.” The Cub Scouts sponsored “Touch a Truck,” an opportunity for kids of all ages to climb aboard and literally touch trucks, including a fire truck, an emergency truck, a SWAT truck, a variety of heavy equipment trucks, and antique cars and trucks. We had heard that there weren’t a lot of children in Old Metairie. Not so: young children and their families were plenty enjoying the trucks on display and the refreshments. Thanks to the Cub Scout parents and Scout Leader Dale Moore for making this a fun and educational event for young people.